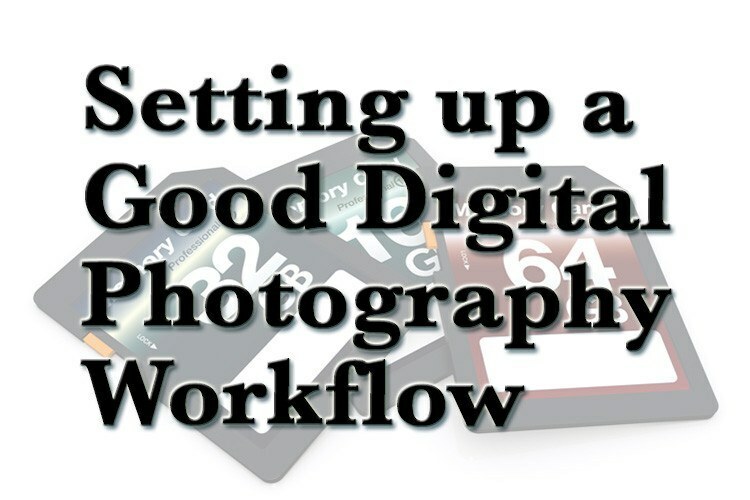 How you set up your digital photography workflow is like building the foundation of your house. It has to be solid or at some point the entire thing may come crashing down. I want to help you create a solid foundation so that your workflow is smooth and you avoid any potential disasters and headaches. I wish I had a dollar for every time I heard (or said myself), “I wish I had done that differently at the beginning”. If you're new to digital photography you are at an advantage because you haven't gone too far yet to start doing it right from the get go. But if you're like me and have been doing it for a while, you've probably encountered an issue at least once and made a mess of things. Trust me – I've made messes! What format will you shoot, RAW or JPG? 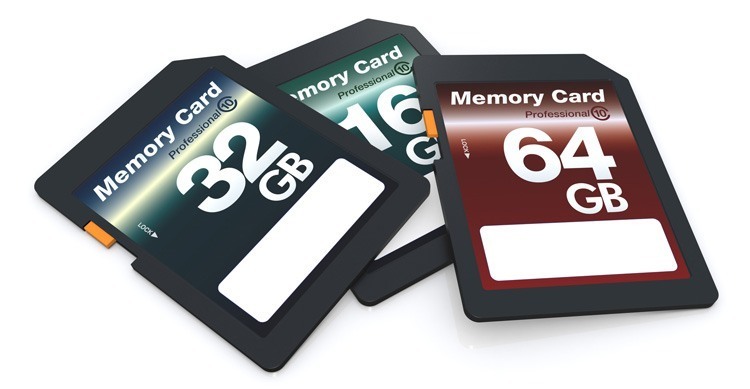 How many memory cards do you need? How will you indicate which are full and which are saved and ready to go? How will you download them – using a card slot in your computer, a cord from the camera or a USB card reader? 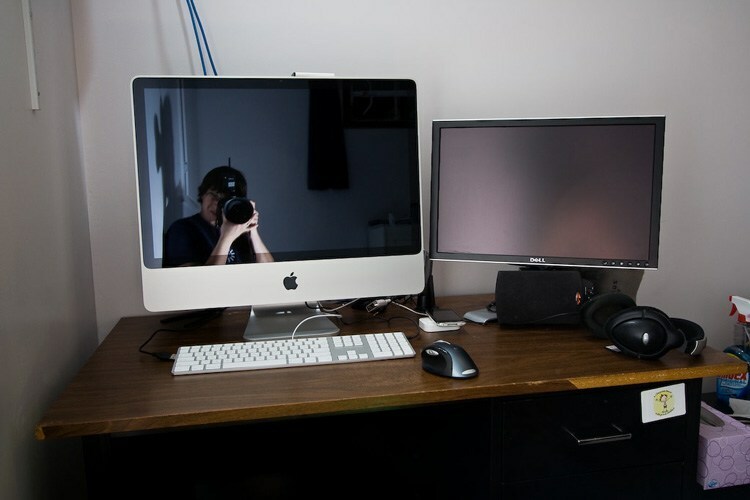 Where will you store your images – on your laptop/desktop or on an external drive? Do you have enough space? What happens when it gets full? How will you back up your images? How many copies will you have? Will you have one copy off-site somewhere? What will you use to process your images? Do you know how to use it? If not where will you learn? Can you computer handle the software and load on its memory? If not will you have to upgrade your computer? How will you clear your cards? Delete All in camera? Erase from the computer? Or “Format” in camera? Plan ahead and think about this beforehand. Ask other photographers what they do. Have a system! So many photographers I've seen have NO system and what ultimately ends up happening is duplicate images taking up hard drive space, lost files, stress from not being able to find images, or even, unfortunately – complete disaster and loss of everything. Don't jump in with both feet without looking first. Don't blindly do what someone else does without asking the important question, “Why do you do it that way?” and understanding how it works. Just because it works for them does not mean it will work for you – and that applies to everything I'm going to say in this article. Take my advice with a grain of salt. Apply it to your own situation and experience and make your own decisions – but do it wisely and in an informed manner. What if you already have a mess? Sometimes it's best to just cut your losses and give up on the old system if it isn't working, and just start fresh. Now's your time to do that if you've got a mess on your hands. I've helped a few of my classroom students reorganize and start over using a different system and software. Spending hours trying to find all the duplicate images you might have isn't worth it – just save, backup, and move on and start fresh is my advice. 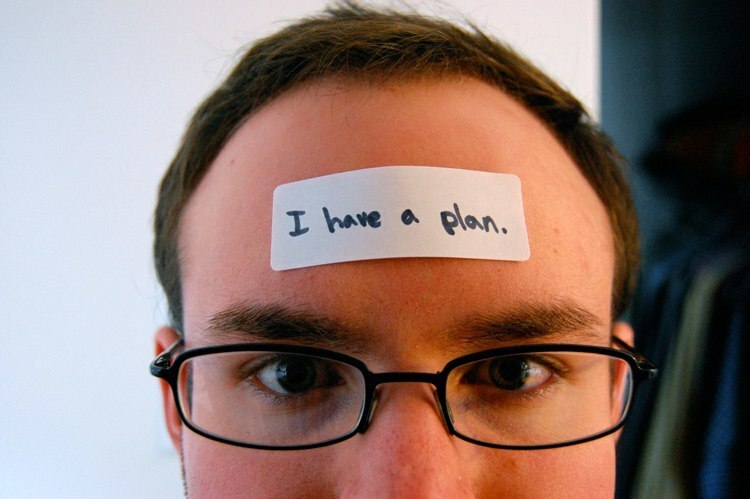 Once you have your plan outlined you may need to get a few things. If you're going to backup using externals drives – get some big enough so you don't run out of space too quickly. I recommend buying the biggest you can afford (but don't go crazy – if you only shoot 3000 images a year you do NOT need four 8TB drives!). 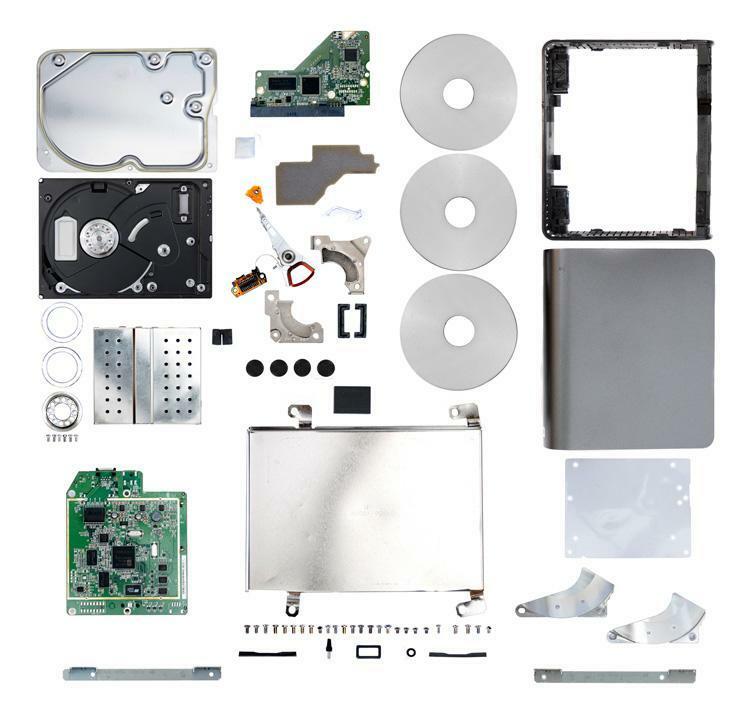 Think about all the pieces including cords, card readers, place to store your cards, online backup, perhaps even a safety deposit box at the bank to store on backup. What about insurance? If you are doing this professionally it is essential; even if it's a hobby for you losing your gear and images is devastating. Make sure you're covered – do not assume your homeowner's policy will cover you. Call them to confirm and if not add additional coverage as needed. If you travel like I do you may need additional hardware or an extra drive or two. Likewise a few more memory cards is never a bad thing. Meaning don't skip out on a backup drive thinking “I'll get one next month” and that time never comes, then you have a crash and lose it all. Get advice from computer experts if that is not your area of expertise. Buy from a specialty computer store not a big box store – speak to staff who actually know what they're talking about. Don't skimp out on a backup drive and online or off-site backup. This is so important. Things happen all too often. Just in my own city I personally know three people whose homes have burned right to the ground. They got out safely but lost everything inside. Hard drives crash that is a fact of life. It's not if they will die it's when. So have a backup plan that ensures you always have at least three copies of your files (and your Lightroom catalogue if you use LR) including one off-site. Let's go back to the list in part one and go through those things one at a time. What format will you shoot? I personally shoot RAW format about 95% of the time. The only time I switch to JPG is for high speed burst mode (buffers and saves images faster) or if I'm using my new little Panasonic point and shoot camera just for fun. I'm not going to sell you on the merits of shooting RAW – you can read RAW versus JPG Why Shoot in RAW Format for more info on that. Whichever format you use just be clear on the pros and cons and know how much memory you have to store your images. Most cameras will tell you how many shots are remaining on your card so use that to judge if you need to buy more cards. When going on a long trip I suggest you do an estimate of how many photos you think you'll need. Figure out how many cards that will fill – then take twice as many! If you have a laptop and way to download you might be able to get away with less – more on travel workflow later. Using a good memory card holder is also essential, as is deciding on a system of indicating which are full and which are ready to shoot. The easiest way (how I do it) is to put the cards in the holder or wallet label up when they are ready to use – then after it is full put it back in face down to indicate not to use it. One lady on our recent photo tour in Cuba had a little holder that had one card for each day of the tour – sort of looked like one of those little pill dispensers. What a great idea! After each day she just put the card into its place face down. How will you download your images is the next step. Will you use a dedicate card slot in your computer, a cord connect to the camera or a USB card reader? I recommend either of the first or last options and NOT the camera/cord method. When you pull images from the card using the camera it must be powered on and will slowly drain the battery. If your battery is low or is empty the transfer will stop and you risk a card error which can cause corruption or loss of images completely. It is also much slower than a good USB card reader. NOTE: do as I say not as I did! In 2011 I came back from a trip to Europe with a few 16gb cards full of images. One downloaded successfully using my USB card reader but the second one kept spontaneously ejecting and an error message popped up saying “device improperly ejected” which is usually not a good thing. Did I take a hint and stop doing it? NO! I put it back in several times until finally it did error and the card couldn't be read at all even by the camera. I hung on to the card all this time as data recovery is expensive. This year I decided I had funds to send it in and I ultimately paid $650 to recover 1000 images shot in Spain and France. Was it worth it to me – YES! Did I kick myself after it happened and every day since? Many, many times!So please note – card readers fail too, even the built-in ones. So if you get a message or warning like this – heed it and just buy a new reader, they aren't that expensive. It is worth discussing the method you use to download not just the device. You have a couple of options here – you can just drag them from the card to a folder on your hard drive or you can use your editing software if it has that option. If I'm in a hurry, or have a lot of cards to import (when traveling) I often just copy over from the card to drive directly, then import into Lightroom later and do all that other stuff. This topic deserves an entire article, so I will leave it at this for now and go into it in more detail in the near future. This is another one that could be a whole topic of it's own so I'll give you the condensed version here. Have a plan for folder and file naming! On my external Drive A (remember all original images go here) I have a folder called IMAGES. Inside that folder I have several subfolders with categories. It makes it easier to find things when each folder only contains a few subfolders. If you put every shoot and every trip into the Images folder you end up with a really long list and it just takes longer to get to your images. So I break it into small subfolders that make sense for the things I shoot. Inside the subfolders are the individual trips or shoots. I also rename my image files with a structure that includes the shoot or trip name, the year (or month and year) and a sequential number. 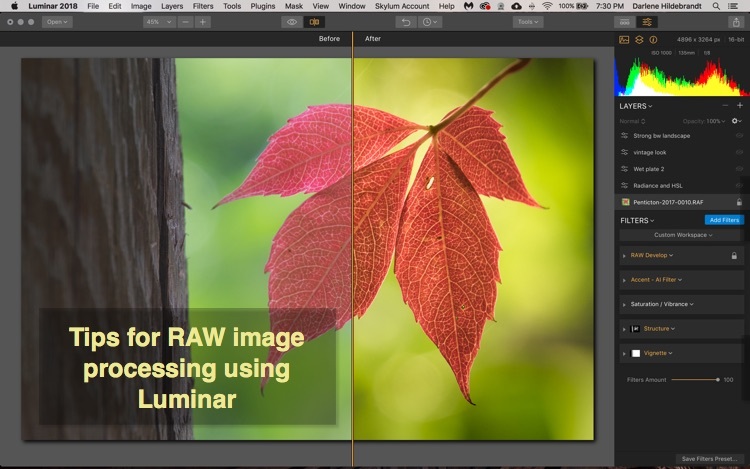 Lightroom does all this and you can make presets for it also. Any exports, variations, smaller files, working files, etc., related to that same shoot or trip go inside the same folder. So I know I can always find the images from that event there – no hunting. Where will you store your images – on your laptop/desktop or on an external drive? Do you have enough space? What happens when it gets full? 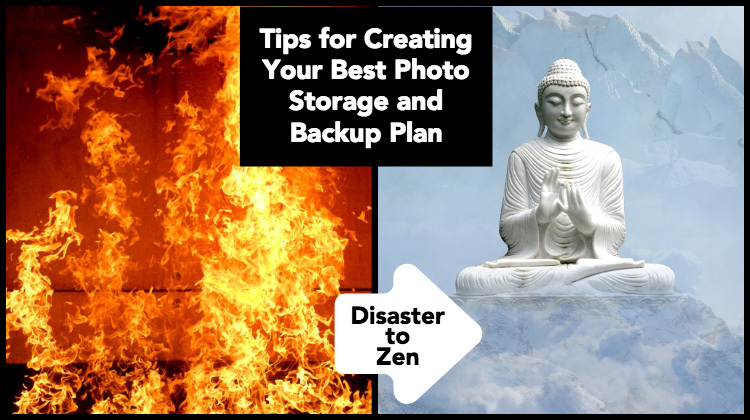 How will you back up your images? How many copies will you have? Will you have one copy off-site somewhere? Once your drive is more than 50% full its speed and performance slow down significantly. So where you decide to keep your images is really important. If your drive gets bogged down because it's mostly full, any image editing software will seem like it's running through mud and you'll constantly be banging your head on the wall waiting for it to do its thing. Yes processor speed and RAM are also factors in speed, but hard drive capacity and percentage full is often overlooked. I've helped people get their images off of their main drive when they thought they needed a new computer, and magically it was much faster when more clear space available. MacBookPro laptop which holds my programs including Lightroom and my catalogues. Do NOT save your catalog on an external hard drive, LR does not like it and it will run really slow or not at all! External Drive A – this is where I put all my original image files. I also save a backup of my laptop (docs, etc.) and my LR catalogs as well. External Drive B – I use this drive to make a copy of all my images. An exact copy! Make note if you save all your files to this drive when you import into LR and rename them later – Lightroom will not recognize your backup files as the same images. I know – I made this bone head move. So please remember to update your backup copy if you rename your files!!! Copy #3 – I keep a working copy of everything that's active on BackBlaze. It's not an archiving solution as it only backs up what is connected so once you archive a drive it will no longer back that one up. If you don't have fast internet (backing up 1tb can take over a month even at high speed) you might want to considering getting a third external drive and making another exact copy. Then store it in a safety deposit box at your bank or even at a friend's house. Then once a month or so switch with Drive B to update it. When drive A gets full usually the other is too so I replace both with larger ones and retire those to the shelf. We're currently looking at a more sophisticated system (called Synology) but I can't speak to that yet. Perhaps I'll do a review of it once we get it in place. Basically it's a redundant system that keeps you running even if one drive fails, you just pop in a new one and continue. It's similar to Drobo. Get enough storage from reputable manufacturers. DON'T wait until it's too late or you have a disaster to put a plan in effect. Do it now! 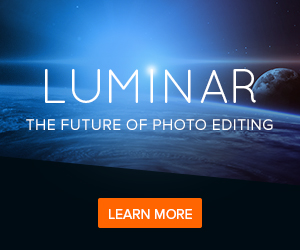 If you've been reading this site for a while you'll know I'm a big fan and advocate of Lightroom. That is what I use for 95% of my image processing. No matter what you use for processing find the one that works for you and you can understand. I've recently reviewed the top photo editing software for 2018 and have added a new program to my set of editing tools. I'd recommend you read it over before making any decisions. If Photoshop or even Photoshop Elements makes no sense to you – then try something else. Likewise with Lightroom. Just because I say it's the best doesn't mean it's the best for you, it's my choice. Note: The only things I do NOT recommend and I do so vehemently are to NOT use iPhoto or Aperture. Both products are being discontinued by Apple and the fact they are made by Apple says that they are not professional imaging tools. Adobe is the standard for imaging. If Photoshop or Lightroom aren't in your budget there are a lot of other good free options like Picasa, GIMP, or Darktable.I've helped several of my students get their images out of iPhoto and Aperture and it was a nightmare. Their file organization is horrible and they hide your original files and you end up with lots of duplicates. I suggest that you just don't use them. Try out a few programs and pick the one you can both afford and understand. There is lots of training available online for Photoshop and Lightroom, including tutorials on this site, so learn how to use the tools well. I've had to “fix” more than one Lightroom catalog because of well meaning people trying to “help”. Take a class, get a book, or get help from a professional teacher. How will you clear your cards? Delete All in camera? Erase from the computer? Or “Format” in camera? Finally, when will you do this? Those are basically the three options, but which is best? I like to use an analogy. 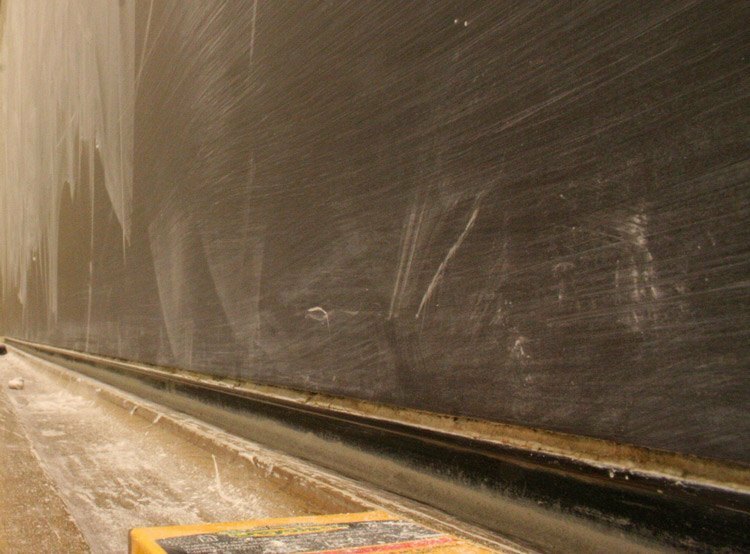 If you have a chalkboard and you write all over it, then use the eraser to clear the board there's always some chalk residue left right? It's the same with memory cards if you use the “delete all” or erase them using the computer. Using the “Format” option in your camera is like spraying the board with water, then using a damp rag to clean it. Comes out looking like brand new with no residue. Format sets up your memory card to receive files on a clean slate. It helps eliminate card errors and actually helps to extend the life of your cards. I've done it this way from the very beginning in 2004 when I switched from film to digital and I can count on one hand the number of card errors I've ever had. Lastly is the question of when to clear or format your cards. I recommend doing it right after you download and make a second backup copy – AND verify the files are all there and are valid. If you put the cards back in your card wallet and you don't go out to shoot for a while you could end up in the field with all full cards and not remember if you have them all downloaded and backed up or not. Clearing the cards right after back up saves you that pain of pushing Format and not being 100% sure you have the images. Then it's simple if they're empty you're good to go! Use the Format in camera function to erase and clean the memory card. DON'T format without having two copies on two different drives, and verifying they all work. So the bottom line of setting up a good workflow is that you think it about it, plan it, get the pieces and tools you need to do it right, and then implement. That doesn't mean there isn't room for improvement. Be opened to see how other people do it but ultimately you need to create a system your brain can understand. If my method works – great, feel free to copy it. If not – tell us how you do it and perhaps you can help someone else out.